Southeast Asia is quickly progressing with the global advances in Information Technology (IT) and currently boasts one of the world’s fastest growth rates with steady expansion and development in the sector. 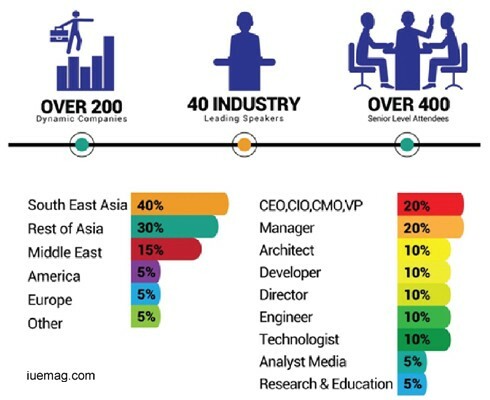 Recognised to be in abundance of IT investment potential by global investors, Southeast Asia’s future in technology is in diversification and specialisation by means of outsourcing, solutions development, system integration, among others. With Big Data and Internet of Things (IOT) among other related technologies driving progress and modernisation in various sectors across the economy, this is also seen to initiate major productivity improvements as we enhance the region’s stand on the global economic race. 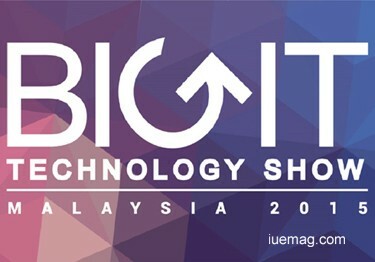 We are honoured to present our much anticipated event, the BIGIT Technology Show Malaysia 2015 which will take place on the 6th and 7th October at Berjaya Times Square Hotel in Kuala Lumpur. Creating a forum for professional exchange of knowledge and skills with an exceptional reach across industry players of the ever growing ICT industry, this event is recognised as the Largest Enterprise Technology Show in Malaysia, and we are endorsed by MDeC, MATRADE, MITI and MIMOS, as well as supported by CyberSecurity Malaysia, MyCEB and the Ministry of Tourism and Culture. The BIGIT Technology Show Malaysia 2015 comprises of the BIGIT Exhibition - where we will also be launching our new Startup initiative, and two concurrent Conferences - the 3rd Big Data World Show and IOT World Show. Investing in Big Data Facilities: Are We Ready? What’s New in Big Data and Internet of Things (IoT)? Groom your employees with pertinent information and advanced skills for your company to accelerate towards embracing Big Data innovations and technologies. Be known of the new revenue streams with the Internet of Things (loT). Be inspired with the methods used by others in leveraging big data to obtain meaningful customer insights and to grasp newly developed tools or expertise to boost your technology efficiency. Be the first to find out the benefits of putting together Big Data and loT towards becoming a smart nation. Ensure your organisation is incorporating advanced analytics and insights as key elements of all critical decisions. Analytics-driven culture allows the organisation to set and achieve strategic initiatives more effectively. Engage peers across the industry by evaluating your company’s current innovation and technology employment and come up with a benchmark to propel forward and stay competitive on top of others. Learn how embarking on emerging Big Data and loT technologies can nurture a nation to become the lead of the technological movement in South East Asia. We create platforms for fortune 500 companies to be updated on the latest trends and acquire latest best practices. NIGIT's large-scale conferences cover the latest business trends and present industry leaders to share their latest insights, experience and case studies. Our events are regional in nature. The events are conducted in major Asian, Middle Eastern and African cities; Singapore, Hong Kong, Kuala Lumpur, Bangkok, Shanghai, Jakarta, Dubai, Doha, Abu Dhabi and Johannesburg. The BIGIT series emphasize the importance of information, communication and technology: especially with data and information in both public and private sector to enable industrial and national growth. Strategies by means of technology innovations. Any facts, figures or references stated here are made by the author & don't reflect the endorsement of iU at all times unless otherwise drafted by official staff at iU. This article was first published here on 30th September 2015.